Bari Rabin is a Learning Specialist on the USAID LEARN Contract. 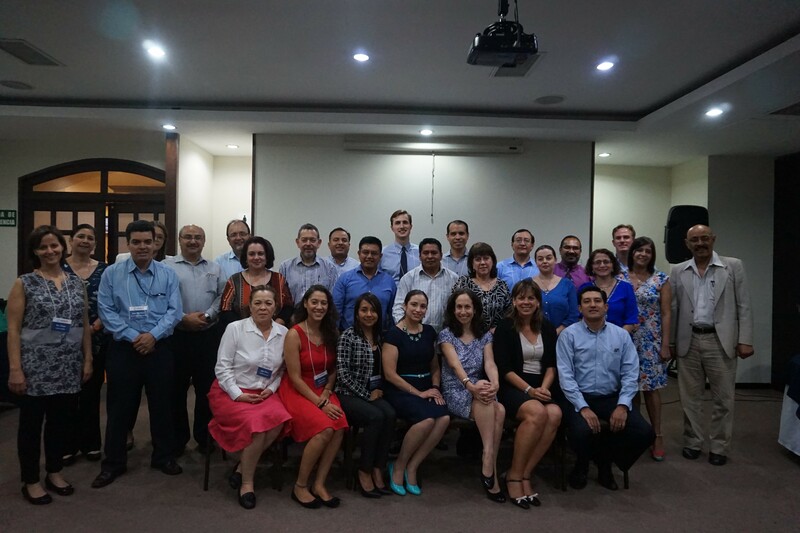 Spread out across a group of tables in an echoey hotel conference space in Guatemala City in April 2016 sat a team of USAID staff and representatives from more than seven local and international organizations. Together, they were exploring what it means to be a youth from Guatemala’s Western Highlands, ad-libbing a story about a young woman from the region who, sadly, had had to drop out of high school to help support her family and did not see a bright future for herself. It was the start of the co-creation workshop for the Broad Agency Announcement (BAA) on Identifying Opportunities for Youth, in which partners from the selected expressions of interest pooled their collective experience, knowledge, and innovative ideas to develop a proposed solution for Guatemala’s youth. Supporting the organizations, a team of mission staff managing the BAA observed their discussions, sitting right alongside the participants, and chimed in when relevant, encouraging the organizations to own their part in the co-creation phase of the BAA process. As the Facilitation Partner designing and leading the co-creation workshop, my colleagues and I on the LEARN contract had a front-row seat to witness what an impressive example of external collaboration and joint learning a BAA can be. A Broad Agency Announcement is a method to communicate interest in solving a development problem. It is used by USAID to collaborate with the private and public sector when facing a development challenge that does not have a clear solution and there appears to be an opportunity for innovation. There is no budget allocated and no particular procurement instrument determined in advance. Through a BAA, a problem is defined, solutions are co-developed, competencies are identified, and resources are explored. By their very character, BAAs approach development with a keen CLA lens. As USAID/Guatemala looks to the next phase of co-design [see diagram on BAA process], what key takeaways can we glean so far from the facilitator’s perspective? Given the nature of the process, a BAA turns the more conventional donor/partner interaction on its head. Implementing partners (IPs) are often accustomed to a responsive role, reacting to a USAID request for proposals or applications, whereas in a BAA, they are invited into the process early on, encouraged to help define interventions and shape activities. While the workshop participants seemed to enjoy that freedom to innovate, some aspects of the BAA process where challenging for them, such as being invited to identify and propose solutions before knowing parameters like budget or procurement instrument type. They didn’t immediately trust that the USAID team was providing all the information they had, more than once circling back with questions like, “What is the funding range?” “What areas are priority for USAID?” “What approaches does USAID favor?”. The USAID team simply reiterated that in a BAA process it is the partners who propose the themes, activities, and the budget required to carry them out (subsequently to be assessed by a USAID proposal review panel, which makes final determinations). In comparing the process of a traditional bid to implement a USAID activity to a BAA, the dynamic between IPs also differs. Organizations that typically compete to win bids are invited to collaborate, share knowledge, and propose their best ideas as BAA partners. In this scenario, IPs must be willing to share over maintaining silos. They need to be open to the ideas of others and not wedded to their own. And they must build trust with their peers to truly collaborate. These are relationships that aren’t built overnight. And yet, by the end of the three workshop days, partners from seven different expressions of interest had presented and discussed individual approaches, pooled their ideas, agreed on a central premise as a team, and formed their own working groups to develop a set of concept notes to propose to the mission. As a first step, we met with the mission team and each of the partner organizations to understand their needs for the co-creation workshop. Their feedback informed the workshop design. Throughout the workshop, we checked in regularly with the USAID team and participants to gauge how it was going and if we needed to change course. The experience of other BAAs told us that we should expect the need to adjust our approach along the way, and we did. Taking an iterative approach helped us get back on track when we had reached a “stuck point” with participants and, in our view, led to better results. To encourage participants to set aside their “organizational hats” during the workshop and work as one BAA team, we began by setting this expectation during our initial partner consultations and again at the start of the workshop. We emphasized the need to bring openness to the ideas of others and also incorporated a team-building activity to reinforce a collaborative tone to our co-creation work. We also highlighted the benefits to partners of this new collaboration approach. Among them is the access to USAID a BAA gives partners. Not only were these organizations invited to propose the solutions USAID ought to consider in supporting Guatemalan youth, but they developed them alongside the mission team, asking questions as they came up, getting feedback on their proposals in real time (mostly from their peers, but to some degree, the USAID team), and learning from one another all the while. So that participants wouldn’t start the workshop “cold”--from never having met or possibly as competitors to immediately sharing ideas--we wanted to build a rapport before they got there. Following the consultations, we opened an online Learning Lab working group. As facilitators, we invited members to introduce themselves with an online post; we also uploaded all of the expressions of interest and related BAA documents; and we used the virtual group to communicate with participants about the workshop. We held a virtual Development Dialogue. Using USAID Connect, we gave each of the partners a turn, in successive rounds, to respond to a series of questions, sharing their lessons learned on the issue of youth livelihoods. The partners responded enthusiastically to the knowledge sharing event, one even inviting the group to meet afterwards for coffee. Given that the workshop would focus heavily on the collective, we also wanted to give partners a venue for sharing who they and their organizations are. The night before the workshop, we held an organization fair and dinner. Each of the partners brought materials or photos that represented their work and, in a gallery walk, gave a five-minute presentation around them. Once everyone had introduced themselves and their work, we all continued the conversation over a group dinner. Part of building rapport was to focus the workshop on the needs of the participants. As most were Guatemalan, we opted to localize the workshop (or “tropicalize” it, as they say), holding it in Spanish. 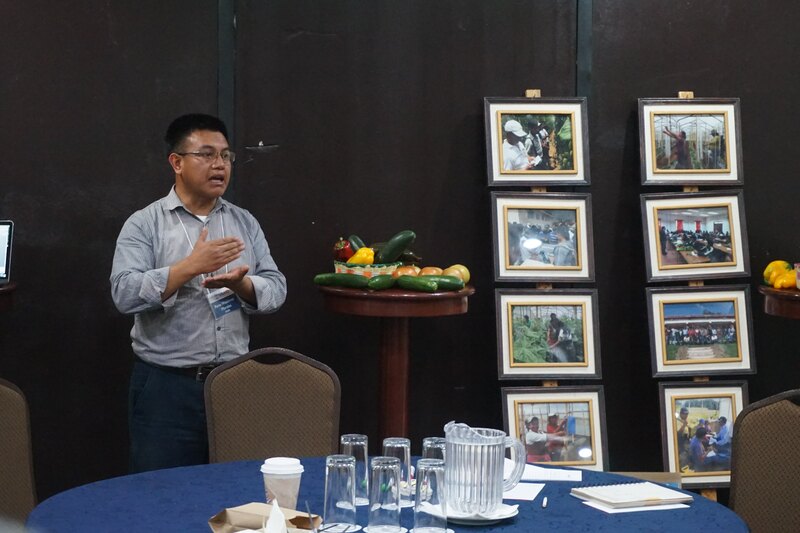 BAAs are a new approach for the Agency which illuminates a pathway for facilitating collaboration between and among USAID and its partners, applying lessons from a variety of sources and experience, and modeling openness and iteration. What has been your experience with BAAs? What challenges did you have or would anticipate? How might a BAA facilitate CLA at your mission or bureau?